SUB 8 - 7:59.84 FAT! 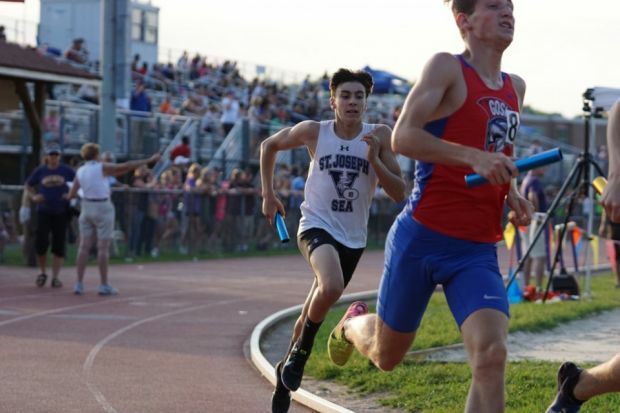 5/29 - Fast Times Relays - Warwick Valley H.S. The Viking 4x800 breaks the elusive 8 minute barrier for the 5th year of the past 10 years and first time since 2016. It was a year that saw many ups and downs and beset by injuries. Senior Michael Kieran led off in a personal best of 2:00.5 to hand off in 5th/6th place. Junior Nick Masters, finally rebounding off of a bad ankle, ran a big PR of 1:57.9 battling in the lead chase pack. 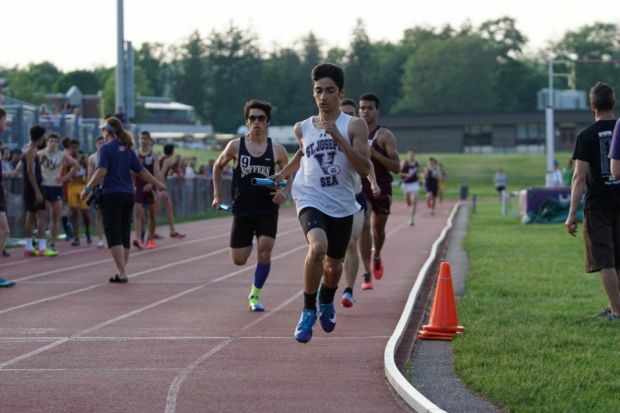 Junior Steve Anzalone ran a solid 1:59.4 while only slightly fading the last 100 meters. 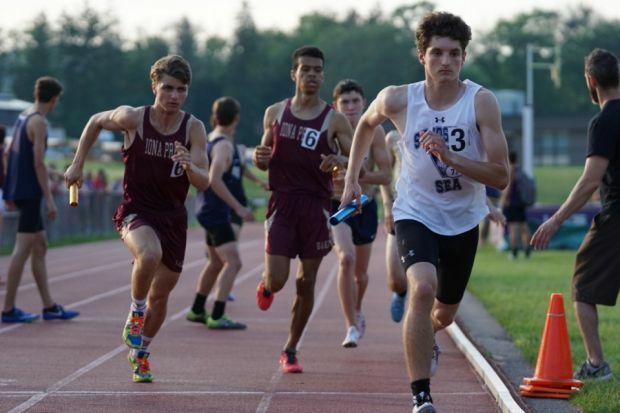 Soph Corey Pisapia, the #5 800 man heading into the meet, ran a huge leg for a 4 second PR of 2:01.9. The Vikings, returning 3 out of 4 legs, return a 8:02 relay for next year.